Factory fire at Seven Hills. Photo courtesy Central Telegraph. 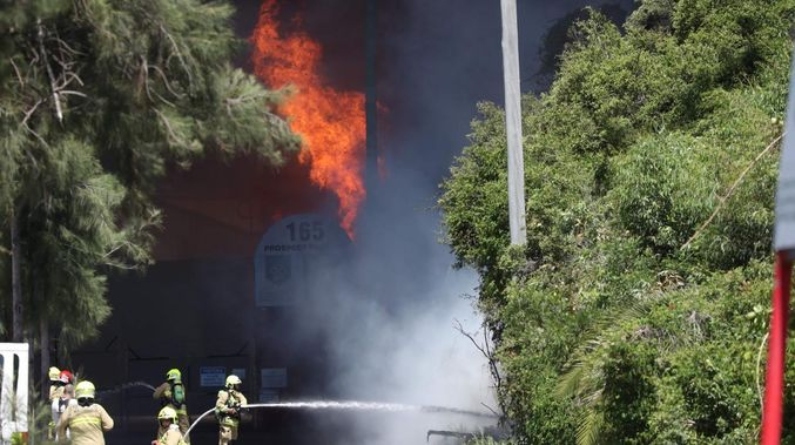 Western Sydney Local Health District (WSLHD) is warning residents of western Sydney of a factory fire which occurred in Seven Hills earlier today. WSLHD Public Health Unit director Dr Shopna Bag is encouraging residents to remain indoors especially those with respiratory illness, heart or lung conditions. “Smoke can affect people’s health,” Dr Bag said. For anyone experiencing symptoms from smoke exposure, seek medical advice or call Health Direct on 1800 022 222. In case of an emergency or if anyone is experiencing wheezing, tight chest or breathing difficulties call 000.